You know what two things don’t mix? RATIONALITY and BITCOIN PRICES. Yep, I said it… Bitcoin prices are JUST STUPID. But that doesn’t mean what you think it does. Listen on for a point of view sure to surprise and amaze you. 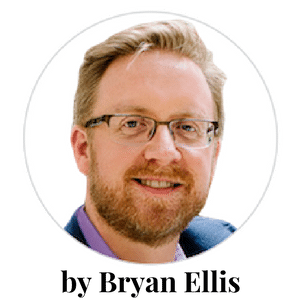 I’m Bryan Ellis. This is Episode #284. 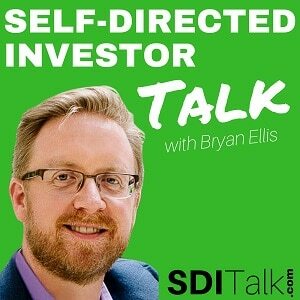 Hello, Self-Directed Investor Nation! 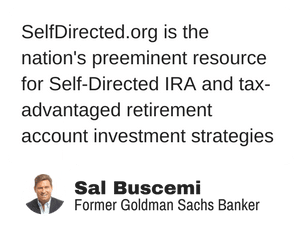 Welcome to the show of record for savvy self-directed investors like you, where each episode, I help you to find, understand and PROFIT from exceptional alternative investment opportunities! And of course, no alternative investment is hotter or getting more press these days than Bitcoin, the virtual currency that has the really weird distinction of being both the grandfather of its asset class while still being an upstart with a history spanning barely 7 years. Can you imagine being a GRANDFATHER at 7 years old? Me either! A weird family, this virtual currency clan. And that’s what we’re going to look at in today’s show, a 7-minute ascent into brilliance that we’ll refer to as episode #284, and which you can find online – alone with the associated links and resources – by visiting SDITalk.com/284. If you’d like to contribute to today’s show, give us a call toll free at 833-SDI-TALK, or drop an email to [email protected]. 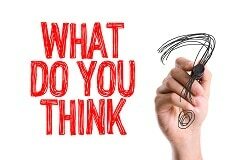 Maybe best of all, stop by SDITalk.com/284 and leave a comment and join the conversation. But it has made some people a lot of money. I’ve heard a lot of stories about people becoming bitcoin millionaires in a very short period of time. I’m sure that there’s some truth to those stories, but at this time, I’ve not encountered any of them. But the fact remains that Bitcoin has gone from a value of about $1,000 at the beginning of 2017 to well over $8,000 right now in November, 2017… and it would be foolish to ignore a runup of 800% in 11 months. But the crazy thing is that that doesn’t represent most of the growth. Back in July 2010 when Bitcoin was launched, it was valued at… not $8,000 per Bitcoin… nor $800 per bitcoin… not even $8 per bitcoin… but 8 CENTS per bitcoin. Yep… a run from 8 cents to $8,000 in about 7 years. If you’re following me, you realize that is an increase in value of oh… about 100,000X in 7 years. I wish I could tell you I was in back then. I wasn’t. Bummer. But now Bitcoin is getting a lot of attention because it hit some sort of critical mass last year and this… and now the whole world appears to be talking about it. Everybody from tech writers at Tech Crunch to Jamie Dimon, the CEO of JPMorgan Chase, to… unfortunately for everybody involved in Bitcoin, Steve Mnuchin, the Secretary of the U.S. Treasury and the de-facto boss of the IRS. Bitcoin is based on a technology called blockchain. I’m not going to bore you to tears by explaining it. But I will say, as a tech guy myself with a background in computer science from Georgia Tech, one of the top 20 computer science universities in the world, I’ll tell you that blockchain technology is way cool and will absolutely change the way that just about every industry handles its data. I think it will have a particularly huge impact in the real estate world, because frankly I think blockchain could be a profoundly superior way to handle public property records – just as one example – than the current antiquated go-down-to-the-courthouse-and-physically-look-for-documents system that is the current standard. But I won’t take you down that rabbit hole right now. Here’s the bottom line: Today’s episode is inspired by a brilliant article on the topic written by the brilliant and talented Carole Ellis, who in addition to being editor-in-chief of the market-leading print magazine ThinkRealty, is also co-founder of the Self-Directed Investor Society and much to my delight, MY WIFE! Carole’s article, which you can find linked on today’s show page at SDITalk.com/284, rather effectively points out how profoundly irrational most Bitcoin investors are being – many of whom expect Bitcoin to continue its hockey stick trajectory and to reach a whopping $200,000 per Bitcoin, and within 3 years, no less – but she manages to point out that irrationality without saying that they’re wrong for investing as they do. dumbest justification you can use. Seriously, people. Look, I concede the serious cool factor, the potential for profit, and the world-changing nature of the technology. Absolutely. But a long-term store of value? PLEASE… that INSANE! It’s only 7 years old, and even though Bitcoin has boomed upwards in those 7 years, that time has been FULL of radical volatility that would give the most seasoned trader ulcers the size of dinner plates! Full of potential it is, but a long-term store of value it certainly isn’t. And on a more casual, note: I’ve got to tell you that some of the people that I see jumping on the Bitcoin bandwagon… they make me nervous. A lot of these are people who, frankly, don’t merit consideration as legit sources of financial wisdom. And a lot of these types of people are jumping in with both feet. Not good. My point about this is NOT to rain on the Bitcoin parade. Not at all. In fact, I think it’s a REALLY COOL thing to put a little bit of your IRA or 401k money into, and just let it go. In fact, I’ll be teaching some training about how to do that WITHOUT being financially raped, as some of the bitcoin IRA-types of companies are currently doing. Is your investment simple, safe and strong? I contend that Bitcoin is not simple, not safe and – having no fundamental value backing it up, and no way to hedge downside risk – it’s also not strong, which is as much a function of reliability as of profit potential. So don’t avoid Bitcoin, see it for what it is: A profoundly speculative asset class that justifies attention from the small speculative portion of your portfolio… and not one penny more than that. My friends, invest wisely today, and live well forever. Do You Invest In Bitcoin? Why? Will You Exit? When? If you can do that you have my full attention. I’ve only found one IRA company that facilitates bitcoin investment, and I’m not paying 15% for the privilege. I have an LLC owned by my IRA but I come to a dead stop trying to register it on an exchange. They want all my personal info which may negate my IRA.